Valve has been rumored to be getting into the virtual reality game for quite a while. So as the gaming world spends its weekend at PAX East, the publisher quietly decided to confirm its intention to step into the VR space. On Friday, Valve officially teased its own VR headset, which is being coined the Valve Index. Valve posted a teaser image over on Steam, but it's light on details. 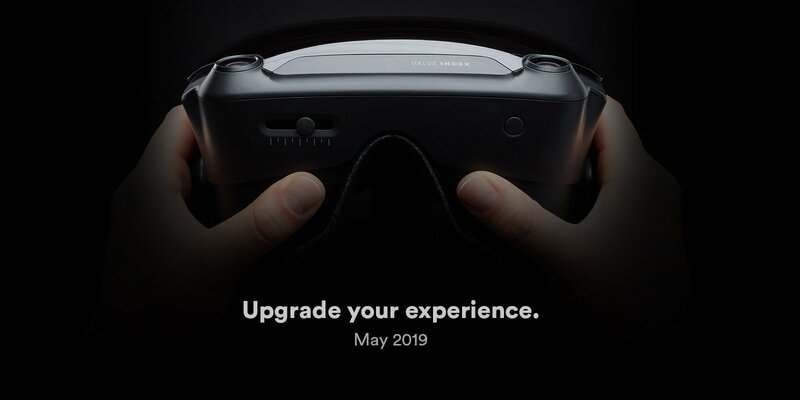 There's only what appears to be brand new hardware, with the name "Valve Index" on it with a nebulous May 2019 date. However, slightly more details were issued in a report by Ars Technica. They point out that the image matches one from UploadVR back in November, with the site reporting a rumored headset that would offer a 135-degree FOV. The Valve Index's reveal comes years after Gabe Newell announced Valve's interest in entering the virtual reality market. It also comes roughly a week after the unveiling of the Oculus Rift S at GDC 2019. That HMD is set to release sometime in the spring, as is the Oculus Quest. The new Oculus hardware and Valve's new headset could potentially be on a collision course this May, with release dates possibly coming within weeks of one another. But outside of Friday's initial tease, there are still many unknowns regarding Valve's new hardware. There are no hardware details, no specs, and no word on any accompanying software. Though it should be noted that Valve has certainly discussed the possibility of getting into VR software in the recent past. Valve certainly has a handful of IPs to work with, which includes anything from 2018 acquisition Campo Santo and maybe something in the Portal universe, but don't expect too much on software until we know more about the hardware itself. Stay tuned for any further updates, as we continue to monitor this developing story. Ok, get ready everyone. Half Life 3 will ship in VR for Valve Index, and the world will go nuts. Uh, HTC Vive? SteamVR? They’ve been in that market for a while. Point being they invented lighthouse tracking and own the eco system where the real money in VR is made. HTC took the financial risk on the Vive HMD. SteamVR is a platform, Lighthouse Tracking is not an HMD. This is a Valve branded HMD. The “VR market” includes more than the headset. wait, did the title just change? Nope, we can’t change headlines when they get posted to Chatty. That would require editing the thread. You did just read it again tho. It’s all good. Just wanted to make sure you knew we were not being dumb dumbs with this article.